Retro trends continue to influence the consumer electronics market. The iconic Walkman series of digital music players from Sony is getting an upgrade with two new water- and dust proof models. Sony Walkman WS413 and WS414 were unveiled at the recently concluded CES 2016 fair in January are bound to appeal to outdoor loving Kiwis. 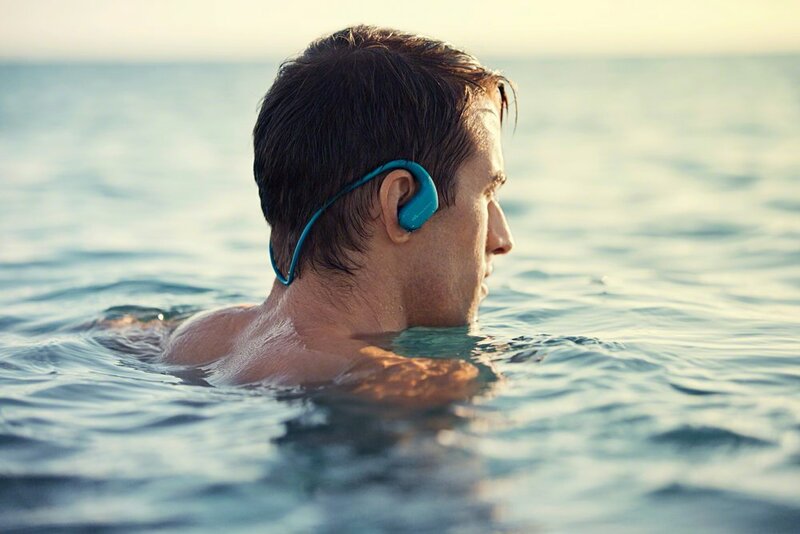 A light, built-in earpiece ensures a good and comfortable fit during swimming, kayaking and other water sports. Sony already offers the existing waterproof Walkman NWZ-W273S and NWZ-WS610 in New Zealand, so the newly introduced models are an extension of Sony’s personal audio line. The WS413 model has 4 GB of internal storage and the WS414 8 GB of storage. The battery life is 12 hours of usage compared to 8 hours for the existing waterproof models. It takes about 1.5 hours to fully charge the battery. Sony also offers a “quick charge” feature that is really practical: a 3-minute charge yields 1.5 hours of play time. Two types of earbuds are includes. A special earbud for swimming and the standard usage earbud. A really neat feature is the ability of the new devices to pick up on sounds in the surroundings without the user having to adjust or remove the ear piece. A built-in microphone increases the situational awareness of the user, which is useful when practicing water sports. That’s not a type. The new models are weather proof and rated at IP65/IP68, which means that in addition to being saltwater proof they’re also dust proof. The new devices come with a rustproof coating on the surface of the device. An additional internal terminal blocks out and prevents accumulation of small particles in the air like sand, which essentially makes the new devices sand proof. Sony Walkman WS413 and WS414 will be released in February in the Asia Pacific region. A specific NZ release date hasn’t been communicated yet. The recommended retailer price listed on Sony’s overseas sites is about NZ$160 for the WS413 model.